Festive ’14: Benefit | Bright & Beautyfull! Love the look of this year’s gifts from Benefit, who do such a good line in same. 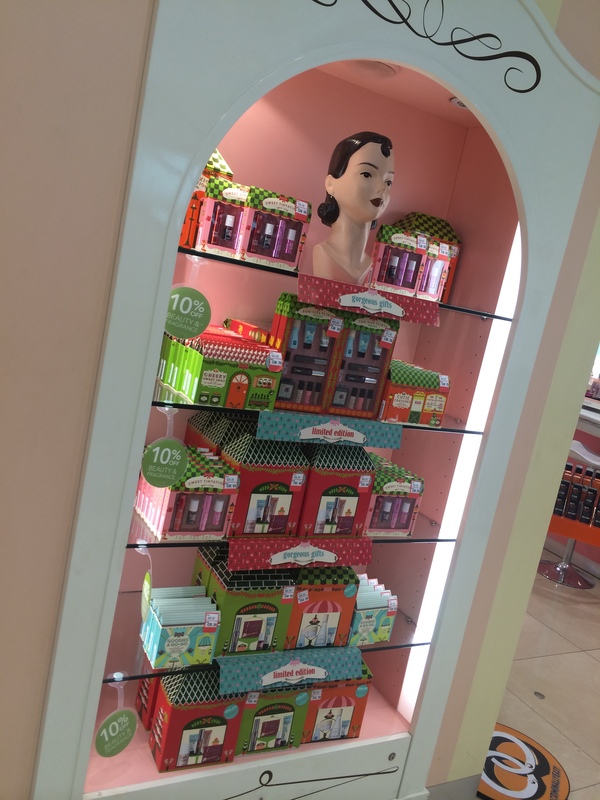 Clockwise from left: Fun-size Flirts, with handbag portions of the brand’s most-loved, best-selling cosmetics; Sweet Tintations, two pairs of the tint paris of lip balm and stain; and Cheeky Sweet Spot, for the gal who who can’t get enough of Benefit’s blushers, they are all here in one place. They’ve also got their b.right skincare all in one clever tin. 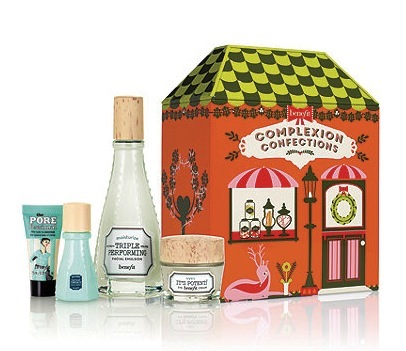 Complexion Confections contains a POREfessional mini, an Instant Comeback Facial Serum mini, Triple Performing Facial Emulsion and It’s Potent Eye Cream. This particular set makes the best use of the tin it comes in, as some of the other sets don’t fill them as nicely as this one does. Love the tin just for itself, nothing like a good tin. And here’s the full effect of all the gifts in one place, thanks to Debenhams.